Tender, honey glazed chicken thighs made easy and quick with only 5 ingredients and 30 minutes to make. A DELICIOUS and healthy chicken recipe that you will make again and again! 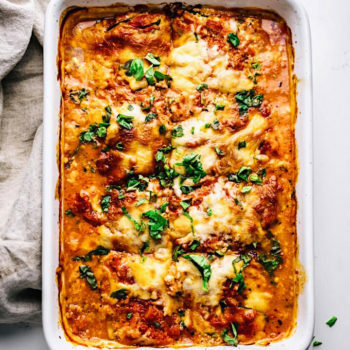 Looking for a delicious, healthy, and easy chicken recipe? I’m in love with these honey glazed chicken thighs. 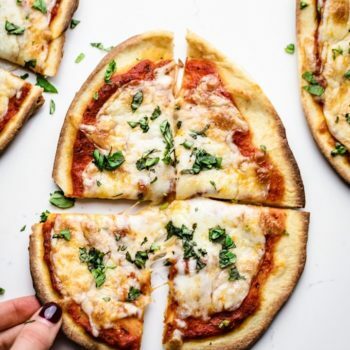 They require only 5 simple ingredients that are most likely in your pantry, and take under 30 minutes to make. Simple, quick, and easy! Chicken Thighs or Chicken Breasts? If you would like to use a leaner protein in this recipe you can use chicken breasts. 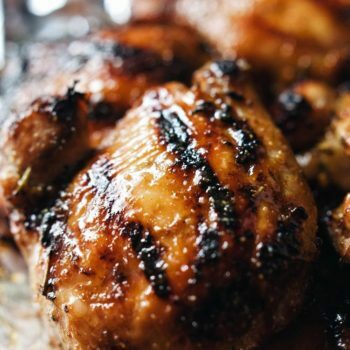 I recommend chicken thighs in this recipe because the darker meat is so moist, flavorful, and works really well with the honey mustard glaze. If you have a chicken/poultry brine – use it! Marinate your chicken with water and brine for several hours for extra moist, tender chicken and tons more flavor. I use THIS brine. This step is not required but is delicious if you can let the chicken thighs marinate. No grill? No problem! Lay chicken in cast iron skillet, pour all of glaze over chicken and into pan. Bake in the oven for 35-40 minutes at 425F. Serve this recipe with quinoa or brown rice. A delicious, tender chicken recipe with 5 ingredients and only 30 minutes to make! 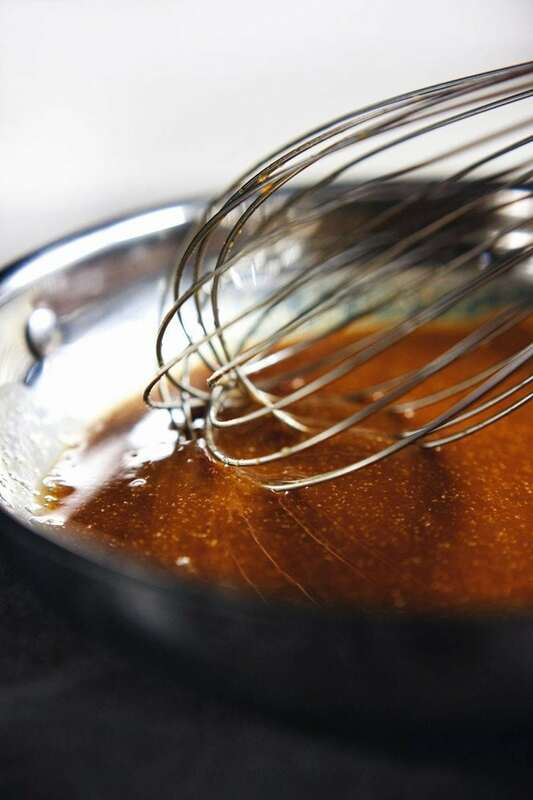 In sauce pan on low heat, add all of glaze ingredients and stir with a whisk until ingredients liquify (about 2 mins). Pour into small bowl when done. Set grill to medium to high heat. Can also cook in a iron skillet or non-stick pan. Place chicken thighs on grill, cook 3-5 minutes each side. Repeat process for 15-20 minutes, or until chicken has good through. Brush chicken with glaze repeatedly throughout grilling process. 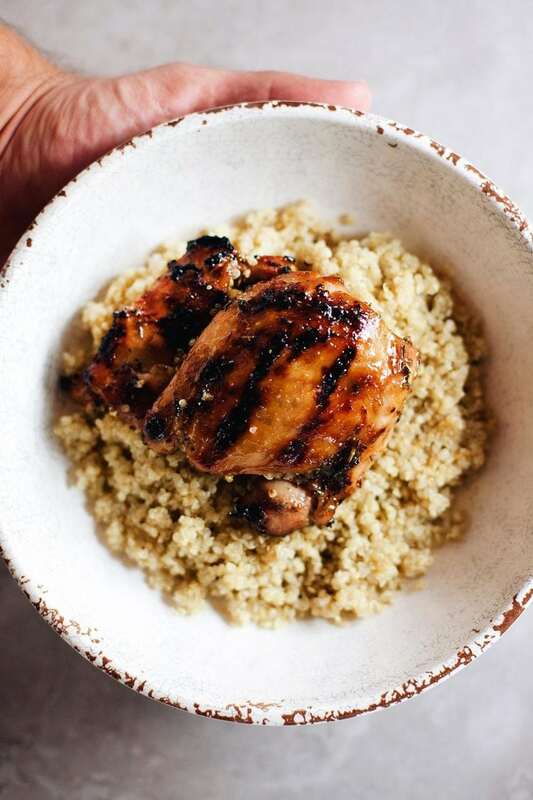 When chicken is crispy, cooked through and glaze covered, add on top of warm quinoa and enjoy! If you have a chicken/poultry brine - use it! 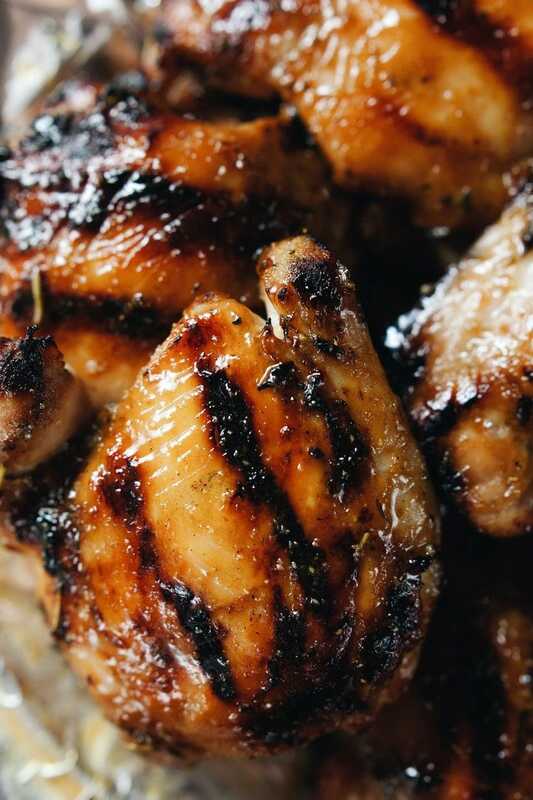 Marinate your chicken with water and brine for several hours for extra moist, tender chicken and tons more flavor. I use THIS brine. This step is not required but is delicious if you can let the chicken thighs marinate. 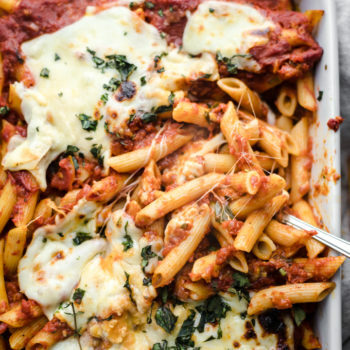 Yum love this for dinner tonight!